MIRROR THEATER LTD, originally founded in 1983 by Sabra Jones, is the spiritual successor to Harold Clurman's Group Theatre and Eva Le Gallienne’s Civic Repertory. The founding initiative was spearheaded by the legendary philanthropist, Laurance S. Rockefeller, and received additional endowments from Dustin Hoffman, Al Pacino, Dina Merrill, Kitty Carlisle Hart, and Paul Newman, as well as NYSCA, ATT, the Astor Foudation, The Lilah Acheson Wallace Foundation, and a host of others. The company leadership was advised not only by Mr. Clurman and Ms. Le Gallienne themselves, but also by Ellis Raab (APA Phoenix), John Gielgud, Alan Schneider and John Houseman. The Royal Shakespeare Company sponsored MRC’s first benefit, in which Geoffrey Dench— as Auctioneer — famously sold Derek Jacobi's nose (it was a prop; he was playing Cyrano de Bergerac). The Mirror Theater Ltd's GREENSBORO ARTS ALLIANCE & RESIDENCY strives to benefit the community of Greensboro by providing year-round cultural and artistic opportunities to the residents of Greensboro and its surrounding areas. Founded in 2005, GAAR operates year-round, employs Greensboro-based staff, and its events have brought together the thousands of people who come to Greensboro every year. The Mirror is proud to have produced over 180 plays both within New York (Broadway and off-Broadway) as well as in London, regionally, and on television. 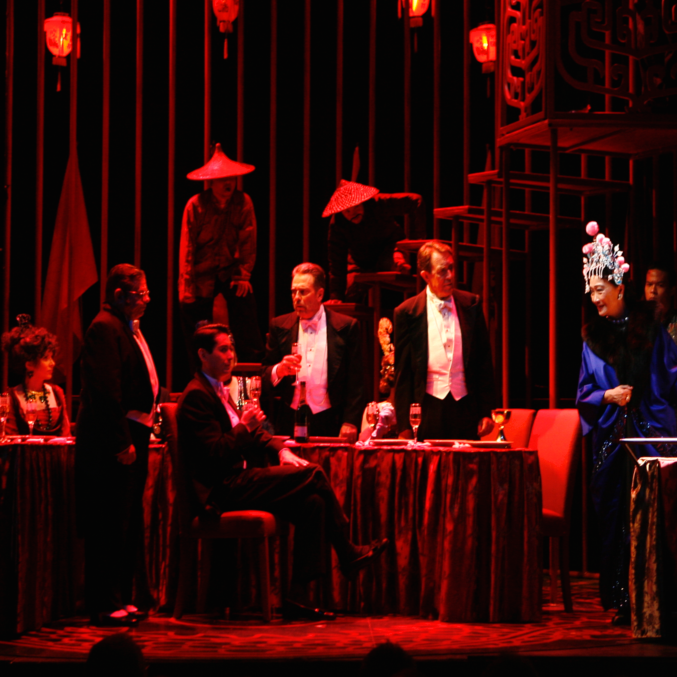 The Mirror has been nominated for a Tony, as well as numerous awards, including Best Overall Excellence and Best Acting Ensemble (Outer Critics), and features an award-winning Arts & Education program (Brown and Williamson Award) which has been a recipient of multi-year funding from the Department of Cultural Affairs. 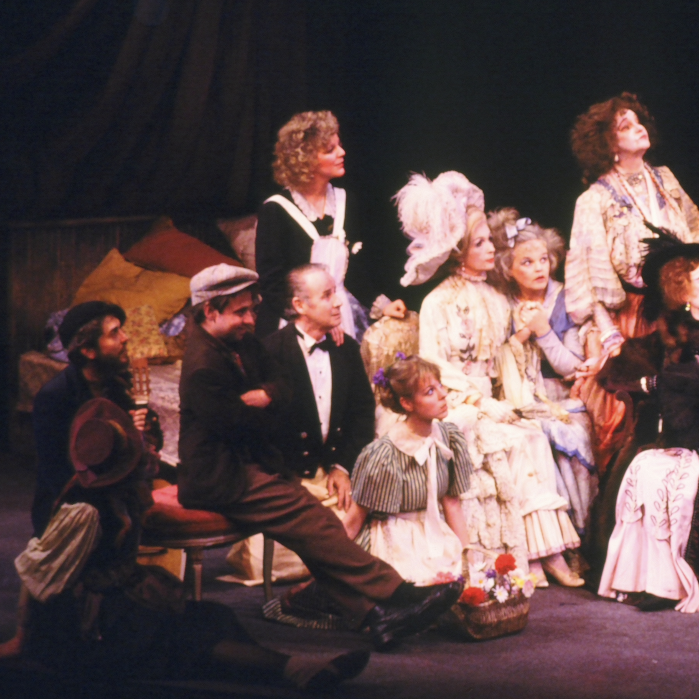 The original acting company starred Geraldine Page, Ellis Raab, and Elizabeth Franz as artists-in-residence, and featured F. Murray Abraham, Sabra Jones, Mason Adams, Maxwell Caulfield, Victor Slezak, Steven Weber, Anne Jackson, Eli Wallach, Anthony Hopkins, Shirley Knight, Tovah Feldshuh, and Michael Moriarty as regular company members. MRC has always been, first and foremost, an artist’s company, and is proud to have collaborated with thousands of talented artists, from Eve Arden to Richard Burton to Nathan Lane. CLICK THE VIDEO ABOVE TO WATCH GERALDINE PAGE, FOUNDING ARTIST-IN-RESIDENCE, THANK THE MIRROR REP WHILE WINNING THE OSCAR. SHE IS WEARING HER COSTUME FROM MIRROR'S PROUCTION OF THE CIRCLE. A true alternating repertory company is a standing company of actors who train together and work together as an ensemble. They know every style of acting and can do it with facility. They understand the mysticism of the Cothurni of the Ancient Greeks and won’t shy away from Kabuki. They are familiar with the demands of Shakespearean verse and Jacobean drama. They communicate joyfully the manifest amusements of Restoration comedies and of Moliere and Goldoni. They understand the spiritualism of Grotowski and the spare lines of the Berliner Ensemble. They are familiar with Stanislavki’s pursuit of truth and all that followed it—Adler, Strasberg, Meisner, Lewis, and Chekov. Tennessee Williams and Arthur Miller and August Wilson are clear expressions of the twentieth century; the actors of the company embrace these authors and others, as well of those of twenty-first, passionately. At all times, the actors seek through their skills the clearest ways to express the stories and visions of the authors involved. Because of their virtuosity, the actors of a repertory company can do anything a play’s author and a director’s vision might require. They can move from one style to the next from night to night, providing the opportunity for the company itself to alternate from night to night and from one great author to the next. Thus, for the audience, they are simply the most thrilling theatre company in the world. Imagine the joy of seeing an actor play Shylock one night and Lear the next, then Big Daddy or the Emperor Jones. Imagine a Juliet who turns into Desdemona then into Yelena. Imagine a company of actors who know each other so well that a playwright can write plays created just for them – a company that can train and create a Ben Kingsley, a Vanessa Redgrave, a Derek Jacobi, or an Anthony Hopkins. Peter Hall once said: “Every great movement in the theatre, every new discovery of writing and talent, has come from a standing company with a common ethos.” It takes hard work and commitment, and most importantly, it needs a building in which sets and costumes can be stored, and in which training, rehearsal, and performance can all take place.